Back when John Krasinski made a name for himself as The Office’s mild-mannered prankster Jim, it was hard to imagine how he would ever escape the typecasting that would follow. After The Office ended, Krasinski attempted to expand the range of his roles to impressive drama and action performances. During those years, he also cultivated a career as a director. His third time in the director’s chair is the haunting and cerebral horror flick, A Quiet Place, and it looks like he may have found his filmmaking forte. It’s hard to ascribe a specific genre to legendary character actor Charles Laughton’s The Night of the Hunter. Is it a psychological thriller, a dark fairy tale, a morality play, a melodrama? The disparate genres and tones joining together to create such a truly unique experience is a large part of what turns this once misunderstood classic into such a timeless masterpiece. 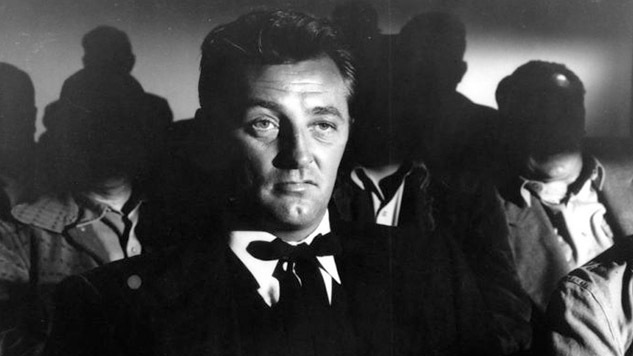 One thing is for sure, the stark, gothic cinematography, the tale full of hideous murders, children on the run from a psychopathic religious nut (perhaps Robert Mitchum’s most iconic performance) and the nightmare fuel of Mitchum’s haunting voice bellowing, “Children!”: The Night of the Hunter is essential horror. Rob Reiner is mainly known as a director nowadays, but those who grew up on ’70s TV will recognize him as an actor first. Over his varied career, Reiner has proven to be a versatile director, and this tightly wound Stephen King adaptation is one of his highest achievements. The character of Annie Wilkes (Kathy Bates), the “greatest fan” of writer Paul Sheldon (James Caan)—great enough to use cringe-inducingly creative experimental foot surgery to keep him at her remote home against his will after rescuing him from a horrific car accident—was apparently a representation of King’s bout with alcoholism, an oppressive force that violently impaired his free will while isolating him from the outside world. Reiner takes this fairly simple yet effective premise and molds Bates’ rendition of the character into one of the most memorable, surprisingly empathetic monsters in horror history. After the appropriate stuffiness of his debut, Henry V, Kenneth Branagh, then primarily known as a prestige Shakespearean actor, delivered a palate cleanser in the form of Dead Again, a juicy supernatural thriller that has a lot of infectious fun with its silly premise without steering into a full-on parody. Scott Frank’s screenplay, about an amnesiac (Emma Thompson) and a detective (Kenneth Branagh) becoming embroiled in a decades-old murder mystery as they unravel details about their past lives through hypnotism, is as ridiculously convoluted as it sounds. But Branagh always shows an expert handle on his film’s tone, which refreshingly combines old Hollywood melodramatic fervor and post-modern narrative tricks. A solid genre exercise full of genuine Hitchcockian suspense, Dead Again eases us in with a dark sense of humor and then pulls the rug from under us with some truly grisly violence, the way Hitch used to do so well. The first half of The Gift, Joel Edgerton’s directorial debut, plays out like yet another generic “creepy stranger invades the lives of a loving and peaceful couple” thriller we’ve seen many times before. We think we know exactly where the screenplay, also written by Edgerton, is going: Gordo (Edgerton), the weird high school friend of the successful and well-put-together Simon (Jason Bateman), married to the angelic Robyn (Rebecca Hall), will become more and more unhinged due to his jealousy of the picture perfect couple, leading to a climax where Simon will have to snuff Gordo following a forced fist fight under heavy rain. Yet by the time we reach The Gift’s midpoint, whatever tropes we expect each character to adhere to are cleverly turned upside down, as Edgerton cultivates a sense of unease and paranoia in the audience, playing with our allegiances and sympathies for each character. It’s not hard to understand how the film that culturally defined 2017 and brought its writer-director the Best Original Screenplay Oscar came from the mind of one of the two stars of Key & Peele. The popular sketch comedy show contained many bits that deftly skewered racial issues through the lens of popular horror staples. Knowing his Key & Peele past, it wasn’t surprising to see how clever Peele was in applying his premise and social messaging to an immensely entertaining package. What was surprising was how he came across as a seasoned director with an undeniably strong handle on the basics of horror, while also expertly leading the genre to its next evolutionary step.